I was born on April 15, which means that, most years, when my birthday doesn’t fall on an Easter Sunday it falls on the United States anti-holiday that is income tax day. Being an ides of April baby also means that each and every year I am also reminded of the sinking of the Titantic and the death of Abraham Lincoln. This year, we all get until 4/17 to turn in our taxes. However, as Saturday becomes Sunday 4/15, I’ll be at the Turner Classic Movies festival in Hollywood where I’ll have a choice between an actual movie about the sinking of the Titanic (1958’s “A Night to Remember”) or I can contemplate my mortality via an avant gardish science fiction movie in which character actor John Randolph has a mid-life crisis and becomes Rock Hudson. (That’s John Frankenheimer’s 1966 “Seconds.”) Movies are about escape, you know. All of which is a long-winded and self-indulgent way to get to this week’s cocktail, named for a day most of us agree is far worse luck than a Friday the 13th like today but which most of us agree is necessary in some form. Thus, the cocktail classic represents the healthy orange sweet of it — the roads, bridges, schools, fire and police protection we get in return for our taxes — and the bitters of actually paying them. If you note a strong similarity to another drink covered here, you aren’t hallucinating. Believe it or not, Income Tax is both the bitter and the better of the two. As with the Bronx, people are over the map on proportions, and I certainly encourage readers to experiment to their heart’s content with more or less sweet and dry vermouth, OJ, and gin. Nevertheless, especially with the addition of bitters, I found this easy to remember and straight forward version was actually quite the best. A few notes on ingredients. 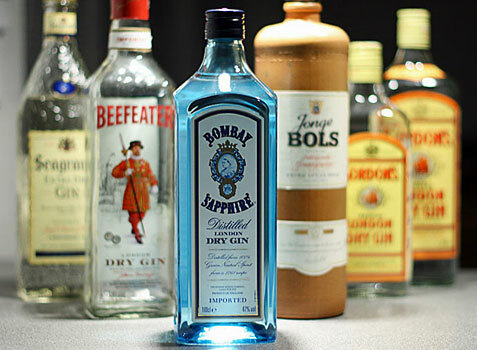 I’m using Tanqueray (94.6 proof) right now, though I’m sure this will work as well with most other high proof gins such as Bombay Dry or Beefeater. With an 80 proof gin like Gordon’s, it might be a bit sweeter which can either be a good or bad thing. I tried making my Income Tax using both traditional Angostura bitters as well as Fee Brother’s aromatic bitters and it came out fine with both. I even ran out of my usual Noilly Pratt sweet vermouth — which for some reason Bev-Mo in Orange County, CA has stopped carrying, darn them — and went to an inferior brand that I had sitting around. Still very nice. 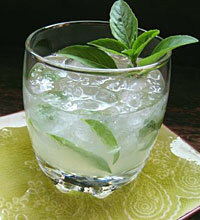 Like tax day itself, this drink can be attacked but it will never be killed. Would that that were true for the folks on the Titanic and, of course, Old Abe. Fortunately, the magic of cinema can take care of that.